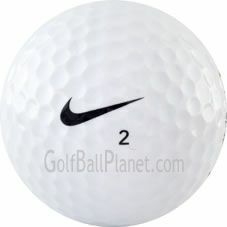 The Nike Mix Model golf balls is the best value on a durable two piece ball we offer on our website. This mixed model pack is a great way to experience many of Nike’s popular models at a great price, without sacrificing the quality your golf game demands.This mixture may include Mojo, Juice, Karma, Ignite, Crush, Velocity, NDX, Tour Control, Tour Accuracy, and Feel+Speed models from Nike. PLEASE NOTE: This mix will not contain a set percentage of each model.